With decades of experience and knowledgeable staff, Anglim’s Western Metal Works is Albuquerque’s premier welding shop for private, commercial and industrial welding projects. Whether you need an artistic stainless steel backsplash, or parts manufacturing for your facility, we’re here to provide the attention to detail that your project deserves. We can work with any weld able material, including but not limited to: steel, stainless and aluminum. Our work can be found in businesses throughout the Southwest, encompassing everything from custom metal signs and metal sculptures to clean room technology and structural fabrication. In addition to our welding shop at 8335 Washington St NE, Albuquerque, we also offer mobile welding service. Whether you need on-site welding and repair. Or want to drop by and show us design plans for a prototype, we’re happy to work with you to provide customized solutions that prioritize quality and attention to detail. Contact us today for an estimate and to discuss our welding services in detail to see if we’re the right fit for your project. 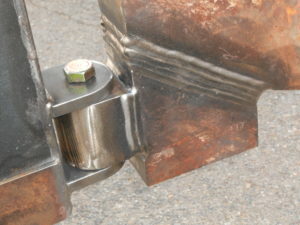 Need an Albuquerque welder? Call 505.822.9170!